4G finally goes live in the UK on the 30th of October heralding a new dawn of super-fast internet for Brits. After heavy delays caused by legal threats between the networks and legal threats within the industry, Orange and T Mobile’s owner, Everything Everywhere, has been granted permission by Ofcom to plough on ahead with the launch of the first LTE network on British soil over their existing 2G spectrum. As part of the deal Everything Everywhere has been forced to sell off a chunk of this to Three Mobile so that they don’t have monopolistic control over the new technology. Next year, the other networks will get their pick of the airwaves as the government prepares to sell of the 4G spectrum. Unfortunately, however, Apple’s iPhone 5 will only work at full speed on the old 2G spectrum that will be available from EE and Three. If you’re an iFan, then you’d better make sure your brand new iPhone is on one of these providers. 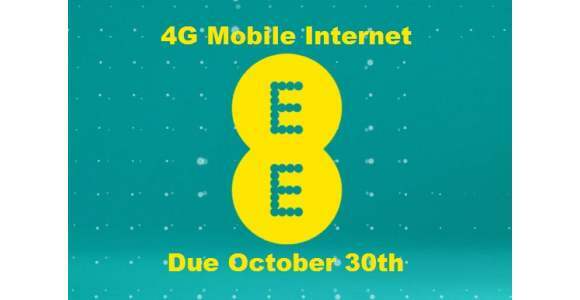 The platform for 4G services will only be available through the new “EE” brand so even T Mobile and Orange customers won’t be able to get the highest speeds unless they transfer their 4G ready pay monthly phones over to the new network on a 4GEE tariff. That said, it seems like the old network operators are trying to make it as easy as possible to transfer over to EE. They currently are offering a range of 4G enabled handsets like the Samsung Galaxy S3 LTE and the iPhone 5 at attractive prices in order to woo over consumers who want to prepare for the changeover and have their new phones straight away. This head start for a 4G Britain doesn’t come without its drawbacks. By getting to the 4G buffet early, they’ve got the chance to pile their plate high with all of the early adopter customers who are willing to pay a premium for faster internet. Though they haven’t explicitly stated it, don’t be surprised if you’ll be looking at an extra four to five pounds a month on your bill. That means that the rest of us will either have to wait until the New Year for the upgrade or be willing to stump up the extra cash. Nevertheless, it is encouraging to see that progress is being made. Britain was already well behind other countries in getting this new network standard and there was one point where it looked like Ofcom were going to make EE wait until 2013 to implement their plan. At least we’ll be able to head into the festive season financially impoverished but internet enriched.